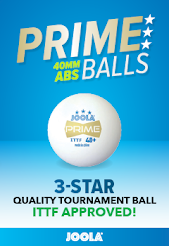 Well after seeing what I saw last week I couldn't resist but form a small list of what I think are the ultimate table tennis tables in the universe. Definitely all on my wishlist! 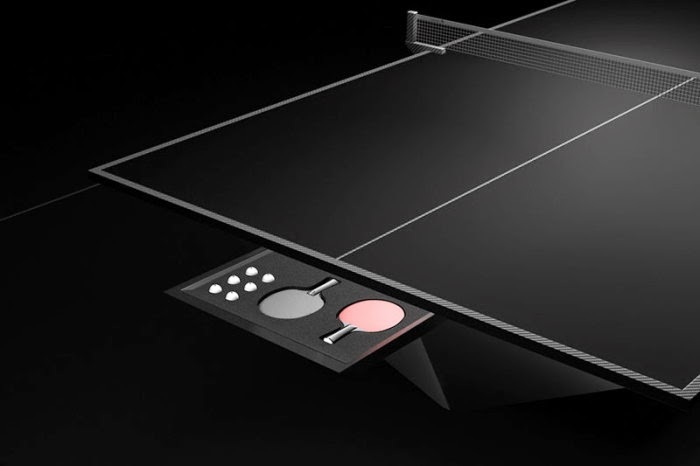 Stiga have given the answer that ping pong partygoers were waiting for. The ultimate party table. With a price tag of $14,500USD this robust groove machine boasts 2800 Watts of sound system with Bluetooth capability and 360 degrees of music overload. This has to be the coolest table yet! 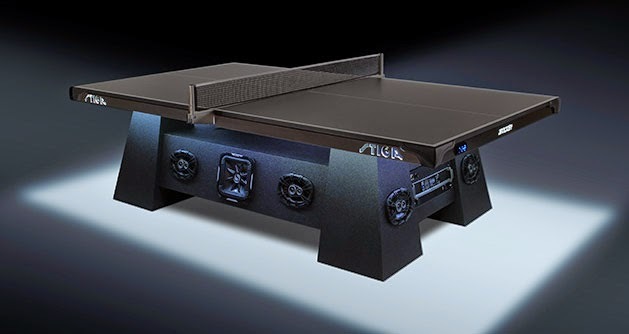 Designed with the T17 Nighthawk Stealth Bomber in mind, this sleek and luxuriously designed table tennis table is composed of high grade jet aircraft aluminium and carbon fibre. Prior to production the company announced that only 5 will be made, hence the exclusive $70,000USD price tag on these unique tables. 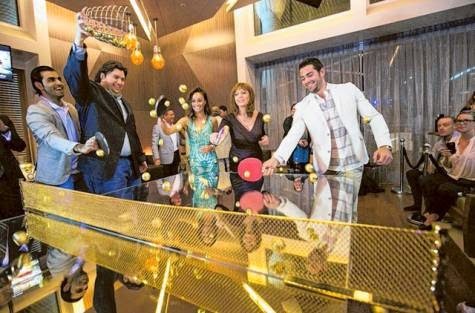 When the concept of SPiN Table Tennis nightclubs headed to Dubai we all knew that grandeur was going to be high on the priority list. We weren't wrong, the nightclub hosts special events for those looking for a great night out and is home to the world's first (if not only) gold plated table tennis table. 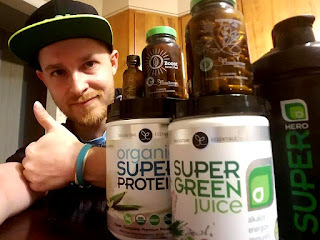 Now that sets the gold standard! Eleven Ravens once again showed why they are the most exclusive table tennis table design company in the USA, if not the world. 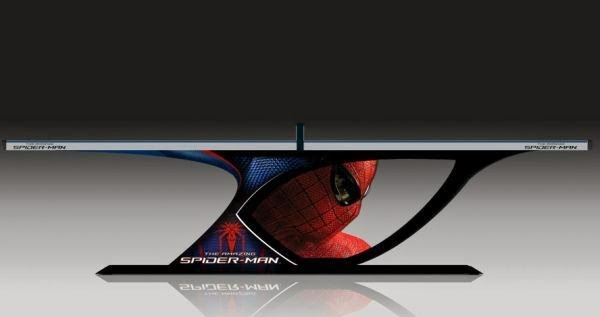 This limited edition table themed after the Amazing Spiderman Film is just another example of why Eleven Ravens are so far ahead of the rest! Possibly the most sophisticated international competitions table we have seen to date. 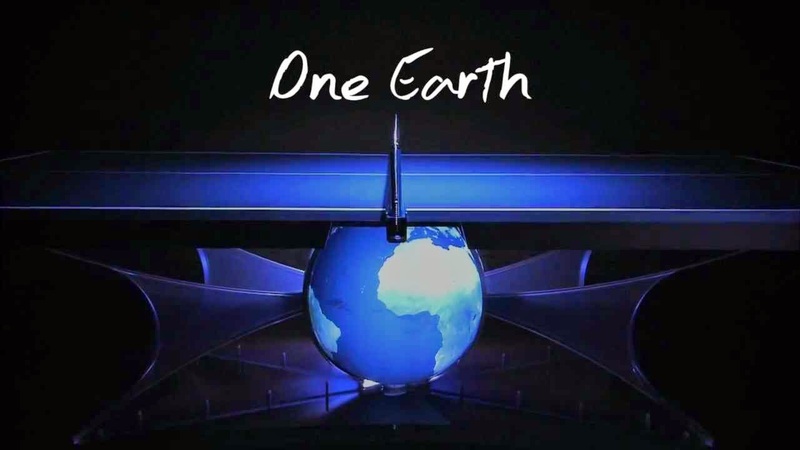 The Earth table design featured a globe beneath the table which glowed brightly. Symbolising the unity table tennis has brought the world. A throwback to Ping Pong Diplomacy.